What is NaturVet Grass Saver? 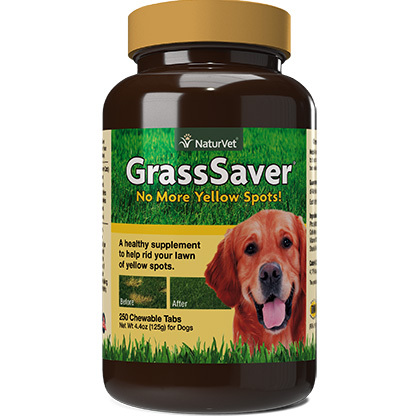 NaturVet GrassSaver is a healthy supplement for dogs containing a unique formula of a synergistic combination of B-Complex vitamins and amino acids that help lower the pH level of your pet's urine to a normal range, which helps diminish yellow spots in your lawn. Simply feed NaturVet GrassSaver to your dog and rid your lawn of yellow spots. Imagine how green your lawn can look! How does NaturVet GrassSaver work? GrassSaver is a combination of b-complex vitamins, amino acids and biotin. This synergistic combination helps metabolize nutrients better, lowering the pH level of your pet's urine. This product is for veterinary use in dogs only. It is intended for intermittent or supplemental use only. If your dog is on a "prescription diet" by a veterinarian, or if your dog has liver or kidney dysfunction, then consult your veterinarian before using. GrassSaver contains healthy ingredients that, when fed on a daily basis, help diminish yellow spots in your lawn due to pet urine. Crush GrassSaver tablet and mix in with food for easy feeding. 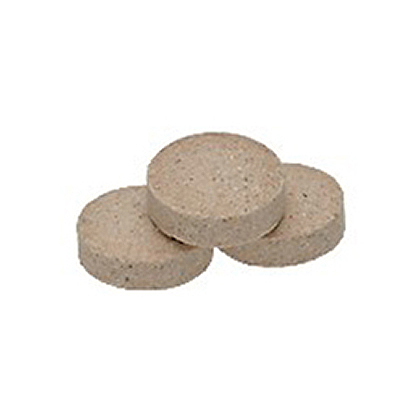 * Each tablet contains 133 mg of dl-Methionine.